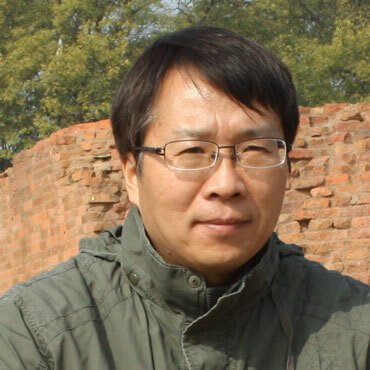 Xingcan Chen is Senior Research Fellow and Director of the Institute of Archaeology, Chinese Academy of Social Sciences, Beijing, and Professor of the Department of Archaeology, Graduate School of CASS. He has been conducting archaeological fieldwork in the middle Yellow River region for more than twenty-five years and excavated several important sites including Lilou, Beiyangping, Xipo, Huizui. He led the first Sino-Australia-American archaeological survey project in the Yiluo Basin during the 1990s. Xingcan Chen was named a correspondent member of the German Institute of Archaeology in 2013. Xingcan Chen’s main interests include the rise of agriculture, formation of state, interregional cultural relations, history of archaeology, and theory and method of archaeology and ethnoarchaeology. He has published numerous books and articles, among which the most important are The History of Chinese Prehistoric Archaeology (1895-1949) (in Chinese, Beijing 1997, 2007; in Korean, Seoul, 2011), State Formation in Early China (in English, co-authored with Li Liu, London 2003; in Korean, Seoul, 2006), The Archaeology of China: From Late Palaeolithic to Early Bronze Age (in English, co-authored with Li Liu; Cambridge, 2012), China Before China (in English, co-authored with Magnus Fiskesjö, Stockholm, 2004), Essays on Archaeology (in Chinese, Beijing, 2002), Papers on the History of Chinese Archaeology (in Chinese, Beijing, 2009), and Essays on Archaeology II (in Chinese, Beijing, 2010). Xingcan Chen received his Ph.D. degree from the Graduate School of the Chinese Academy of Social Sciences (1991). He was a visiting scholar at Harvard University for two terms in 1993-1994 and 2001-2003, and in La Trobe University in Australia in 1998.